Every dog is unique and there is no single “one size fits all” approach to feeding Opetka Raw. For puppies and pregnant/lactating females we recommend 4% to 6% of body weight daily. For senior or weight conscious dogs, we suggest 2% of total body weight. 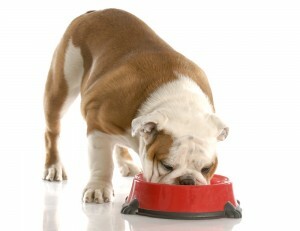 Young and adult dogs, feed 2% to 3% of total body weight. Opetka Raw is delivered frozen and needs to be thawed before feeding. Do not heat or microwave Opetka Raw as it will lose most of its’ nutritional value. It is important to practice safe raw food handling techniques. Wash your hands and any utensils or surfaces after use. There is no need to add other foods or supplements as Opetka Raw is 100% life sustaining and ready to serve. Most dogs transition to Opetka Raw quite easily. The high meat, fruit and vegetables in our product make it a tasty meal that dogs rarely hesitate to eat. When switching to a more healthy dog food diet, some dogs – especially older ones, may need to make a gradual transition to it. If you notice any hesitation from your dog, use the chart below for slow introduction to Opetka Raw. Why this reaction from your dog? Many years of feeding a cereal based kibble or canned food has conditioned your dogs digestive system to those type of foods. A healthy alternative like Opetka Raw should then be slowly introduced in small unmixed portions throughout the day. 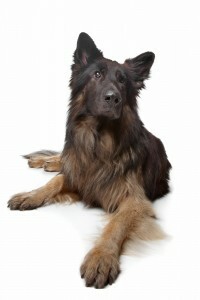 Click here to learn about the benefits of feeding your dog Opetka Raw.